Last week, I was asked an important question by my daughter (the Little Mama). 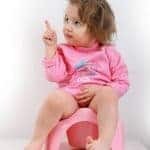 Mothering a newborn and a Terrible-Two-Year-Old sometimes lends itself to a loss of personal identity (not to mention sanity). How do you maintain your identity as a person with other abilities besides mothering? 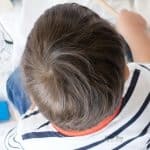 Identity loss as a mom hits you right smack between the eyeballs in the middle of messy diapers, challenging potty training, and gut-clenching temper tantrums (sometimes by the children LOL). 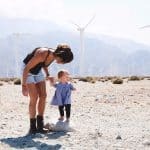 Even if you’ve always wanted to be a mom, you will experience this at one time or another through the many transitions of parenting. So let’s cover it briefly, based on my motherhood tenure as well as responses from last week’s Instagram poll. 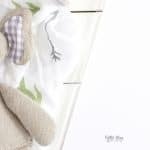 How have you maintained your identity as a person since becoming a mom? Great point! This is should be our foremost thought. Scripture says the believer’s life is hidden with Christ in God. Don’t gloss over this point! Even if you experience the loss of a job, a friend, a husband, or (God forbid) – a child – your life matters to God! For the believer, your MAIN identity is in Christ. You are His precious daughter, and He loves you unconditionally! Comfort, peace, faith, and spiritual healing, and the personal task of sharing Christ are yours, dear mom. 2. By MAKING time for me! Follow me on Instagram to join the #GloriousMotherhood poll! This was the most popular answer. For new mothers, this is especially difficult at first. Keeping your head above water and meeting basic needs is the main goal. Learn to survive, slowly add basic tasks, and accept help. Gradually, you emerge from the newborn fog, and then, you can begin to create small bits of time for yourself. 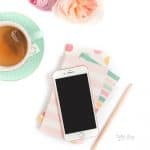 Working from home (if you enjoy blogging, you can work from home via advertising, etc.! – Kill two birds with one stone)! 1.) Your identity matters. God created you with a need to feel fulfilled. 2.) Placing your heart, mind and soul in His care and at His disposal, recognize your season of life as well as your immediate moments are designed according to His plan. God is working in each second of your life. Acknowledge this, own it, and ask for grace to accept it right now. 6.) Make time for things you enjoy – use nap time, rise early, or wait till kids are in bed – shoot for at least 30 minutes per day. I once heard Dr. James Dobson say that a mother needs at least a total of two hours to herself every week in order to avoid burnout. Guard your “you” time, mama, and don’t feel guilty about it! God cares about you, and wants to see you joyful! 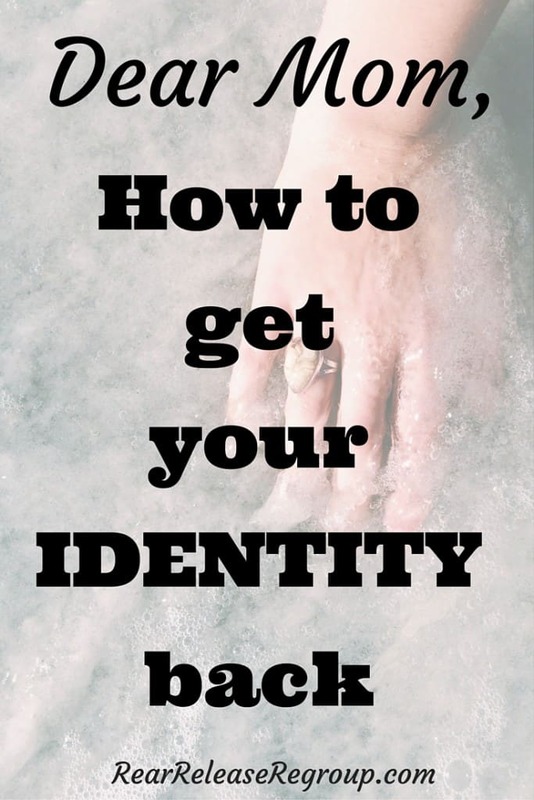 Do you have any suggestions for carving out time for identity? What are some things you do to rejuvenate? 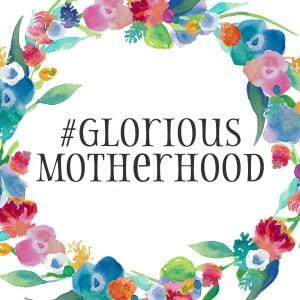 *Click here To read more about #GloriousMotherhood and a fun way you can participate twice a month! 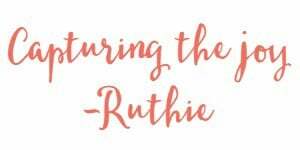 Great tips, Ruthie. It’s so easy to lose sight of the big picture when our work can be so mundane. I think staying in the Word and having a hobby are so important. As hard as it is, I get up early each morning to make sure I have time alone to read the Bible. I then spend some time working on my blog. I’m blessed that my husband understands how important the blog is to me in terms of giving me something I do for “me” that he is supportive and makes sure I have time to work on it! Yes, the day to day tasks are indeed exhausting. But time in the Word and a little free time for you is key! I’m glad your husband lends support for your blogging and understand you need that outlet! You do a great job. Keep up those wise words, girl!